Luxury B&B suite with spectacular views over Loch Inchard and the mountains of NW Sutherland. 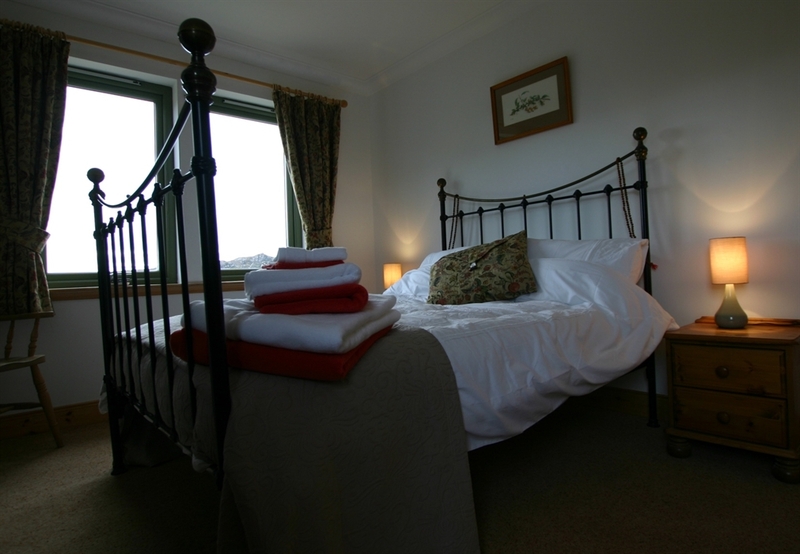 Privates suite includes double bedroom, lounge/diner with log fire, patio, large bathroom with walk in shower, kitchenette. Evening meals. 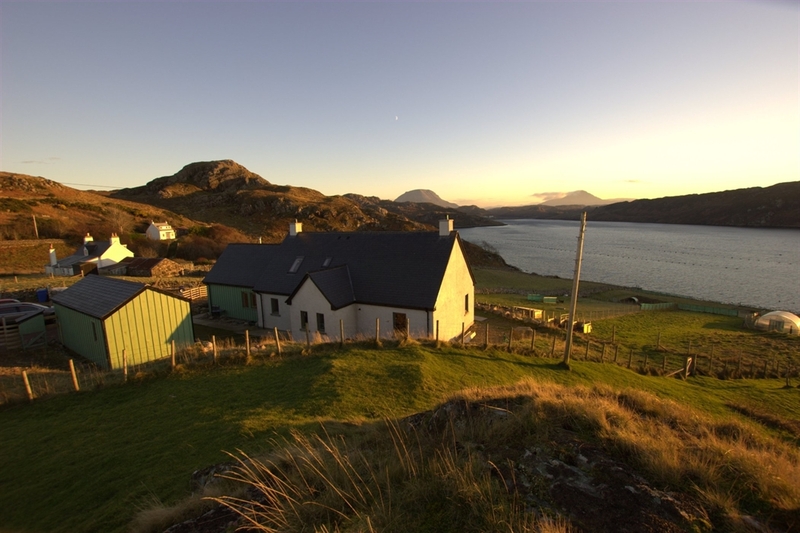 We are a croft on the Rhu peninsula in Loch Inchard, between Rhiconich and Kinlochbervie, North West Sutherland offering secluded B&B Croft Stay accommodation with spectacular views and evening meals. Our B&B Croft Stay has a self-contained private suite with a large double bedroom, bathroom with walk-in shower, lounge/dining room with views and a patio overlooking Loch Inchard. You can stroll down to the shoreline to watch our otters or even try some fishing. There are short walks from the croft and a wood-burning stove to relax by so there is no need to venture far. With just the one suite your privacy is guaranteed. You have your own entrance, we stock the fridge and kitchenette daily with everything you need for a continental breakfast.